There are already as many “best views of Mount Fuji” LISTS as there are claimed best places to see Mt. Fuji. 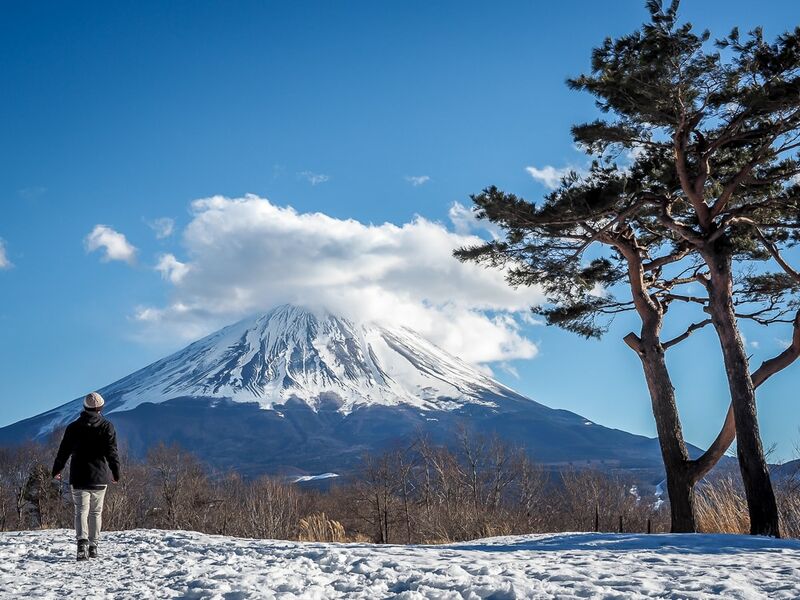 Personally, I don’t think any single one is best, but for this list, I have focused on the best places to see Mount Fuji if you want a good chance to ACTUALLY SEE Mt. Fuji. That means all of these places are close-up, offering the highest possibility of a clear view, so you can marvel at Mt. Fuji in its full glory. Sure, you can on rare occasion spot Mt. Fuji from places further afield, like Enoshima Island, Yokohama, and even all the way from Tokyo, but for my Fuji experience, I wanted to get up close and personal with the legendary mountain, and maximize my chances of several great views, from different angles, in a short period of time. All of these spots are very easy to get to and fairly close together. 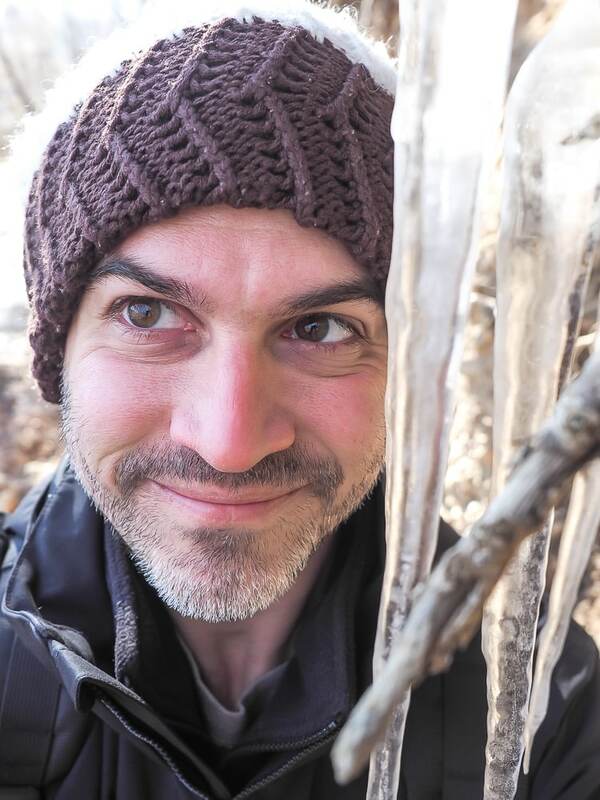 I only spent three days (two nights) in the Fuji Five Lakes area, and managed to see Mt. 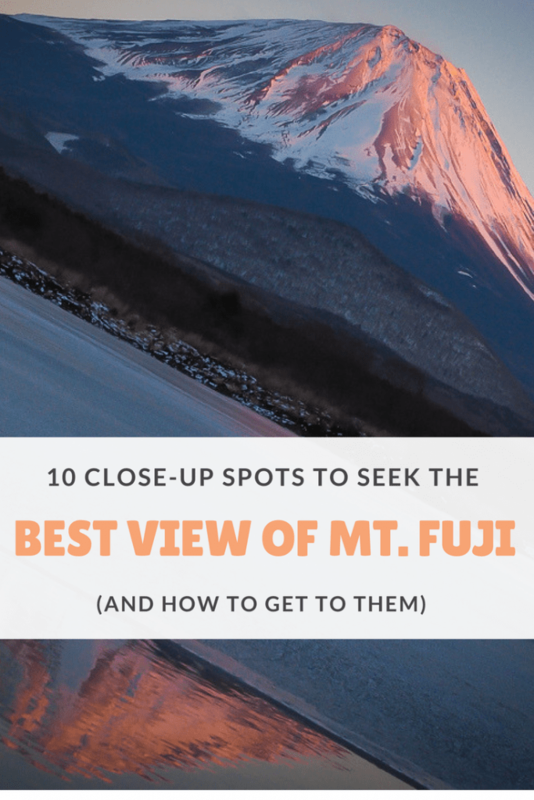 Fuji from almost every spot on this list. I’ve also included Hakone in the #10 spot, which also has many different viewpoints, but is further away than Fuji Five Lakes. Also note that you can see pretty include views of the Mt. Fuji peak from Fuji 5th Station on the side of the mountain. Besides simply seeing Mount Fuji, check out my 5 Mount Fuji day trip itinerary ideas for other things to do in the Mount Fuji area! When considering the best places to view Mt. Fuji, remember that when to visit Mt. Fuji is an even more important factor, because the mountain is often not visible. Generally speaking, you’ll have the highest chance in winter, lowest in summer, and early mornings are best. This website gives the percentages of times of full/partial/no visibility of Mt. Fuji in each month of the year. As you can see, Mt. Fuji is frequently obscured by clouds. Many people visit the region and don’t even get one glimpse of the elusive mountain. Therefore, staying for more days can also increase your chances of getting a good view. If you want to visit Hakone (#10) as well, try this Mt. Fuji and Hakone day tour by Shinkansen (bullet train) from Tokyo, with no shopping stop. Also check out my articles on viewing cherry blossoms in Osaka, autumn foliage in Kyoto, and geeky things to do in Akihabara! 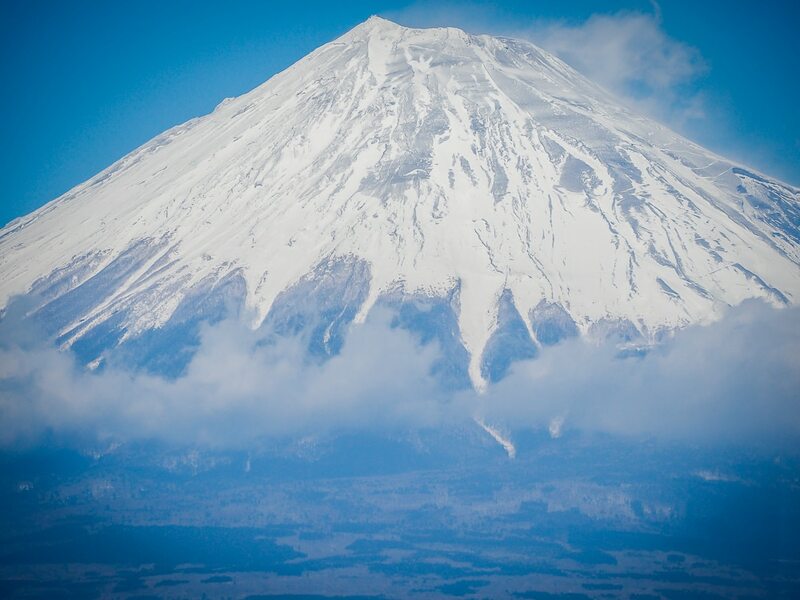 – Spot Mount Fuji all the way from Tokyo in this short helicopter cruise or splurge on the incredible experience of flying right over Fuji in a helicopter! –See Mt. Fuji from a sea of pink flowers at the Fuji Shibazakura Festival in April and May. – For onsens with Mt. 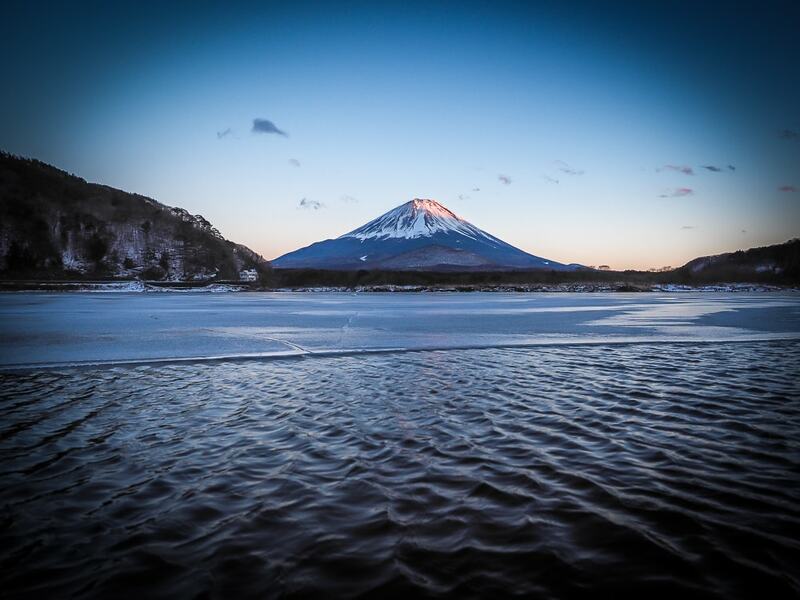 Fuji views, try Onsen Benifuji no Yu on Lake Yamanaka, which is included on this day tour from Tokyo, or Fuji Yurari Hot Spring near Lake Saiko (no tattoos allowed, but some people with tattoos have been able to use the private hot spring rooms at Fuji Yurari). – Looking for supreme comfort? Why not charter a private car from Tokyo to Mt. Fuji? La Vista Kawaguchiko (see prices / read reviews): Top quality service and incredible views over Kawaguchiko and Mt. Fuji from private baths in room or outdoor onsen. Shuhoukaku Kogetsu (see prices / read reviews): Another spot on the Kawaguchiko north shore with awesome Fuji views from private baths in rooms. Fuji Lake Hotel (see prices / read reviews): From this convenient property on the south side of the lake near the Kawaguchiko bus stop and train station, you can see the lake from the window on one side of your room, and Mt. Fuji from your bath on the other side! 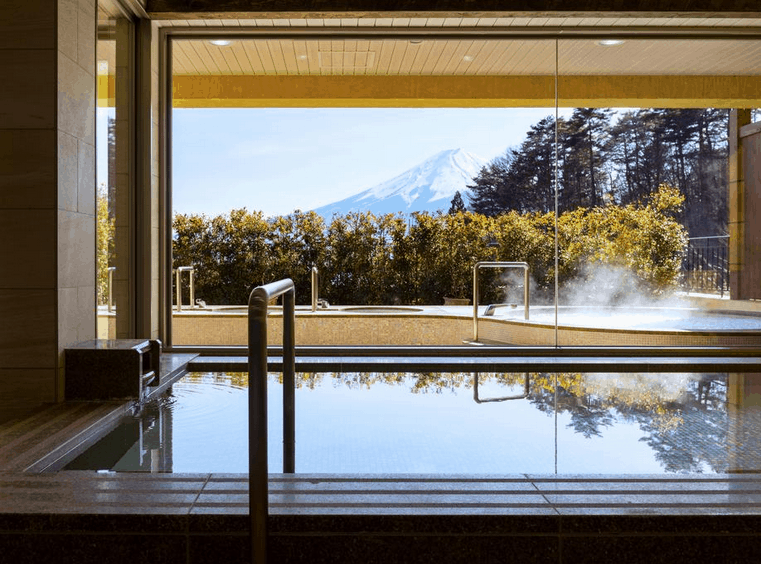 Wakakusa no Yado Maruei (see prices / read reviews): Another convenient and luxurious choice on the south side of the Kawaguchi with great Fuji views, especially from the private onsens on the roof. Hotel Mt. 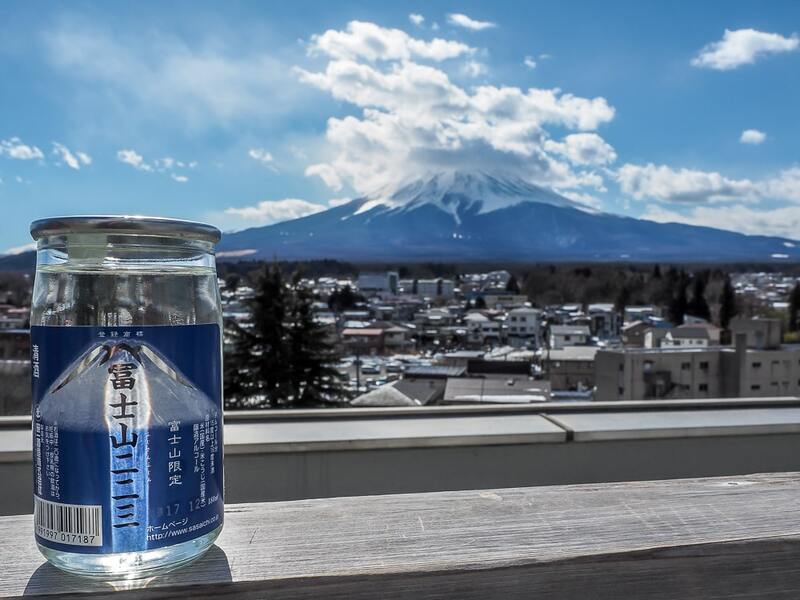 Fuji (see prices / read reviews): Here’s a choice in removed from the crowds of Kawaguchiko, with an onsen overlooking Laka Yamanaka and of course Mt. Fuji. Kagelow Mt.Fuji Hostel Kawaguchiko (see prices / read reviews): Highly recommended hostel near the bus station in Kawaguchiko with Fuji vies from some rooms. Shoji Mount Hotel (see prices / read reviews) Far fewer tourists make it over to beautfiful Lake Shoji. 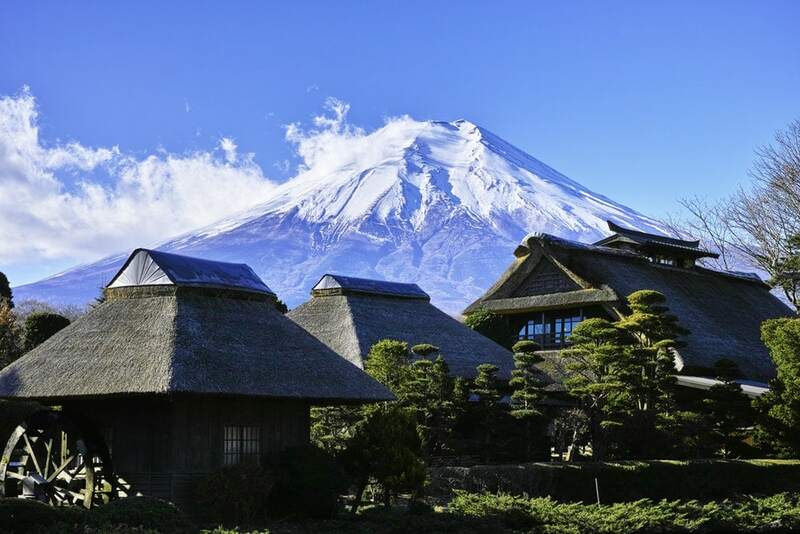 Enjoy uninterrupted views for Fuji from your room in this mid-range hotel. So here’s my list of places to try for the best view of Mount Fuji, going (roughly) from closest to furthest from the mountain, and directions for how to reach each of them. The famous reflection of Mt. Fuji on the Fuji Five Lakes. I managed to find an unfrozen patch on Lake Shoji in winter to get this reflection shot. Lake Kawaguchi (Kawaguchiko): This is the most accessible of the Fuji Five Lakes and the one you will hear about most. It has the most facilities and hotels to choose from, but it’s also the most touristy, and you’ll have to pay an arm and a leg if you want a room with a view. The train station in Kawaguchiko, on the southeast side of the lake, is a transportation hub for the Fuji Five Lakes region, but the best place to view Mt. Fuji is from the north side of the lake. How to get there: The Red Line of the Fujikyuko sightseeing bus departs from in front of the station every 20 minutes. The Kawaguchiko Museum of Art (23 mins) is a good point to get off and just keep walking along the shore from there. Lake Yamanaka (Yamanakako): The largest and second most developed lake, Yamanakako also offers great Fuji views, also from its northern shore, and is actually the closest of the five lakes to Mt. Fuji. Go here if you want to hop on a bike; there’s a dedicated biking path all the way around the lake. 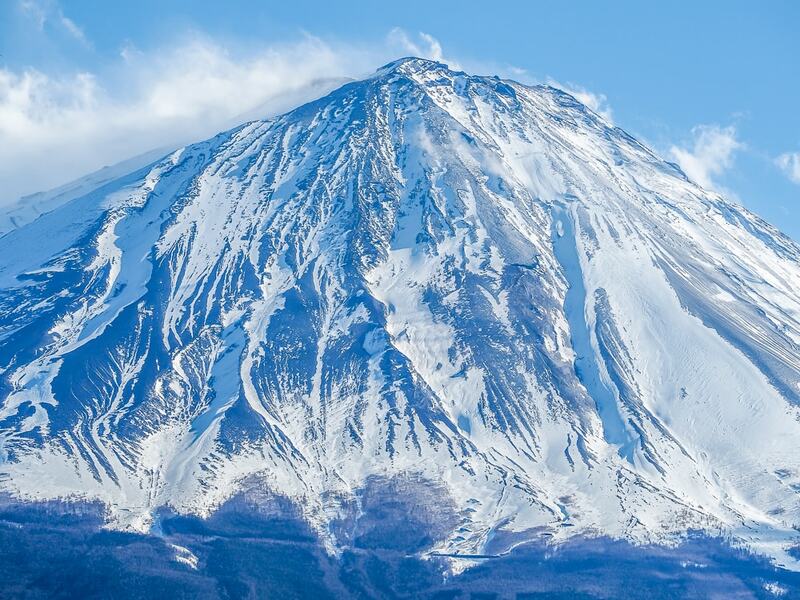 How to get there: Take the Fujikko-Go bus from Mount Fuji (Fujisan) Station to Mt. Fuji Yamanakako stop (40 min). You can rent a bicycle near the stop for 1500-2000 yen for 4 hours. Lake Sai (Saiko): Undeveloped Lake Sai only offers views of Fuji from one section of the western shore, which is near Iyashi-no Sato (see #5 below). Come to this lake for outdoors activities and camping. There are two other amazing Fuji views near Lake Sai (see #3-4 below), which are easily combined with a visit to Lake Sai. How to get there: Take the Green Line of the Fujikyuko sightseeing bus from Kawaguchiko to Nenba Minshuku stop (37 minutes, leaves every 30 minutes). Lake Shoji (Shojiko): After doing lots of research, I decided to stay at Lake Shoji when I visited the Fuji region. It’s the smallest of the five lakes, but offers what some say is the best view of Mt. Fuji. 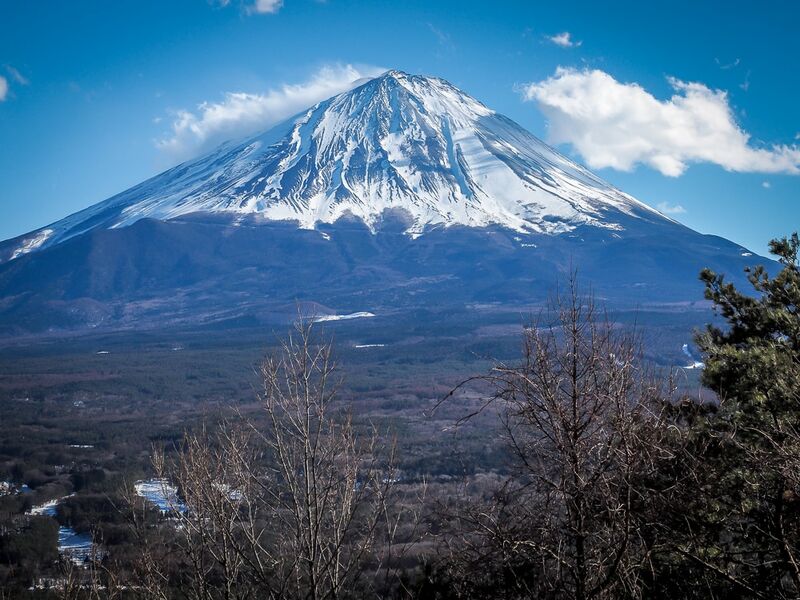 I chose it because it is remote but still connected by bus, has Murahamasou Minshuku (see reviews), an incredible guesthouse with amazing food and super hospitable hosts, and of course for the Fuji view. Every evening around sunset, the beach on the western shore of Lake Shoji seemed to be a gathering spot for photographers seeking the perfect Fuji sunset shot. There is also 4-hour return hike from Lake Shoji called Panorama-Dai, offering a full view of the lake and Fuji, but the view from the highway and beach on the western side is already quite impressive. 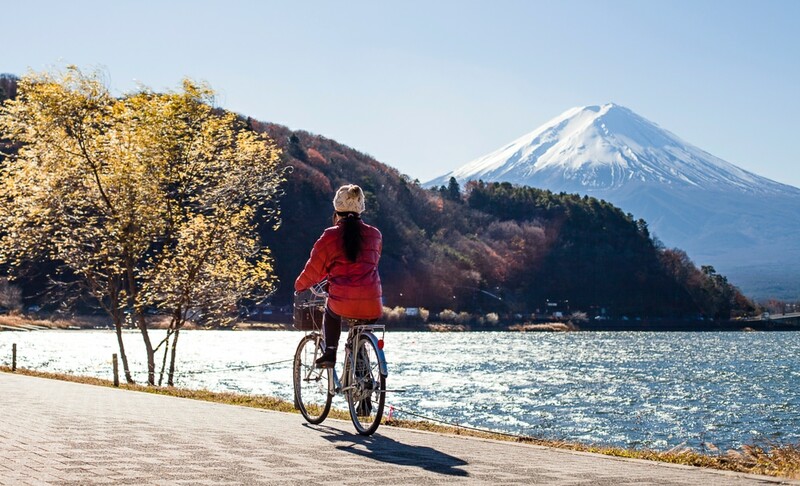 How to get there: The local Fujikyu bus that runs all the way from Shin-Fuji Station to Kawaguchiko and Fujisan drives around Lake Shoji on the way, passing by four times per day, with a few more services per day that start at Lake Motosu. The blue line of the Fujikyuko sightseeing bus adds another four services per day. Get off at the Panorama Observatory stop for the Panorama Dai hike, Kodaki Fuji View stop for the western shore with Fuji views, and Shoji stop for Murahamasou Minshuku. It isn’t far to walk between the stops. Note that the last bus of the day from Lake Shoji back to Kawaguchiko or Fujisan departs at 5:36pm, which gives you enough time to catch the early stages of the sunset (in winter especially), but not the full thing. Mt. Fuji from the western shore of Lake Shoji, where I stayed during my visit. Lake Motosu (Motosuko): This lake is the least accessible if you don’t have a car. The bus only stops at the entrance to the lake and one more stop 2 minutes in, but if you want to get to the famous 1000-yen-bill viewpoint, you are looking at a 1-hour walk in each direction along the side of the road. How to get there: Same as for Lake Shojiko. The famed viewpoint is next to Motosu Central Lodge and Koan Campground on the northwestern side. To gain some easy elevation (400m) for a more panoramic view of Mt. Fuji, catch the Mt. Fuji Panorama Ropeway (aka Kachi Kachi Yama Ropeway or Mt. Tenjo Ropeway) from the eastern shore of Lake Kawaguchiko to the peak of Mt. Tenjo. I gave this one a miss because I prefer viewing spots without the crowds (see #3 and #4). But if you only have a very short time in the area, this could be a great option. You can also opt to walk up instead of taking the ropeway (40 min-1 hour) or back down (30 minutes). 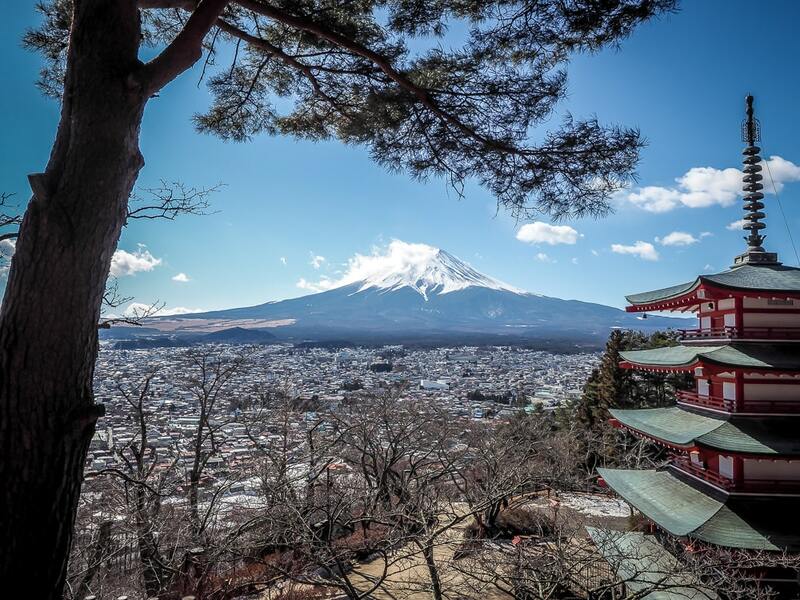 The ropeway is also included on this day tour from Tokyo, which also includes all-you-can-eat fruits at a fruit orchard and a visit to Fuji 5th statio. From the observation deck, you can walk up another 300 meters to a small shrine on the summit, or continue on the two-hour (one-way) ridgeline ascent to Mount Mitsutoge, which offers a different perspective. This hike can also be done in reverse, starting at Mitsutoge train station, up Mt. Mitsutoge, and down to the Fuji ropeway (6 hours total). How to get there: Take the red line of the Fujikyuko sightseeing bus from Kawaguchiko to “Pleasure Cruiser/Ropeway Entrance” stop (16 min, departs every 15 min) or walk (20 minutes). The ropeway runs 9am-5:10pm (9:30 to 4:40 in winter), ¥800/450 return/one-way. If you want an elevated view with few to no other people, I would recommend the easy, 30-minute hike to Koyo-Dai, a lookout from a mountaintop between Lake Saiko and the Fuji Panaroma Line (highway 139) which goes around Mt. Fuji, connecting the main lakes. The trek follows an unpaved road up to a small café (closed when I visited in winter). I had to climb over a short fence to the café’s large balcony, which offers a stunning view of Mt. Fuji (elevation 1666m). When the café is open, you can pay ¥150 to go up to the rooftop for a higher view, so you likely wouldn’t get the trees in the way like in the above photo. I shot the Fuji close-up image at the very top of this article from Koyo-Dai zoomed in to 150mm. In both images, the road up to Fuji 5th Station is visible on the mountain. The walk is easily combined with a visit to the impressive Narusawa Hyoketsu (Ice Cave) and Fugaku Fuketsu (Wind Cave) nearby. If you time it well, you can get back on the same bus for 1/2 stops to reach either one. To walk from Koyo-Dai entrance to the Ice Cave, you can walk along the highway (15 min), but there is a lovely path through the forest (20 min) connecting the two caves. There is also an onsen spa in the area called Fuji Yurari Hot Spring, where you can soak in hot springs with a Mt. Fuji view. Note that people with tattoos are not permitted, but you can possibly get around this rule by (paying quite a bit more and) getting a private hot spring room with a view. How to get there: Take the blue line of the Fujikyuko sightseeing bus or the regular Fujikyuko bus (same buses for Lake Shojiko and Motosuko), with about a dozen departures per day from Kawaguchiko. Get off at Koyo-Dai Entrance stop (27 minutes), which is one stop before Narusawa Hyoketsu (Ice Cave) and two stops before Fugaku Fuketsu (Wind Cave). After getting off the bus, walk north along the little road, and this will lead right up to Koyodai. You can budget an hour return (or less for faster walkers), plus however much time you’d like to spend up there. The Green Line for Lake Saiko and Iyashi no Sato (see #5 below) also stops at the Wind Cave. For Fuji Yurari Hot Spring, get off the Blue Line at the Michi-no-eki Narusawa (roadside rest and shopping area) stop, one stop before the Koyo-Dai Entrance stop. If you trek up to Koyo-Dai (#3), you might as well continue on another 10 minutes past it to an even better view at Sanko-Dai (“three lakes platform”), which offers a 360° view from 1203m that includes Lakes Kawaguchiko, Saiko, and Motosuko, and of course Mt. Fuji. You can’t see the bottom half of Fuji from here, nor can you really get a shot of Fuji with one or more lakes in it, but the view looking in every direction from up here is stunning nonetheless. I didn’t make it past there, but the trail continues for another hour to Gokodai (五湖台), which the name suggests offers a view of all five lakes from one spot. How to get there: Follow directions for #3 and continue another 10 minutes. If you want to get a shot of Fuji behind houses that look straight from the Edo period, visit Iyashi no Sato on Lake Saiko, northwest of Mt. Fuji. This open-air museum consists of 20+ houses reconstructed in a traditional village that was destroyed by a typhoon in 1966. As if the views weren’t enough, you can also rent kimonos or samurai gear to dress up and complete the shot. Entrance is ¥350, and there are snacks and souvenirs for sale. You can enjoy a similar experience at Oshino Hakkai, east of Mt. Fuji between Lakes Kawaguchiko and Yamanakako, a tourist facility featuring eight ponds, with traditional thatched farmhouses built around the largest one. Locals like to drink the fresh water from one of the ponds. Oshino Hakkai is included on both this Mt. Fuji day tour from Tokyo and this one. How to get there: There are eight buses per day from Kawaguchiko on the green line of the Fujikyuko sightseeing bus, taking 40 minutes. Iyashi no Sato is one stop (or a short walk) past Nenba Minshuku stop, where you would get off for a view of Mt. Fuji over Lake Saiko. These buses also go on to Fugaku Fuketsu (wind cave), making it possible to combine your trip with #3 and 4 on this list. For Oshino Hakkai, catch one of the buses bound for Gotemba from Kawaguchiko (but double check, since only some stop at Oshino Hakkai. From Fujisan station, catch a bus bound for Uchino and Hirano, the Fujikko bus to Lake Yamanakako, or the Mt. Fuji World Heritage Loop bus. Did you know you can ride a roller coaster while enjoying one of the best views of Mt. Fuji? 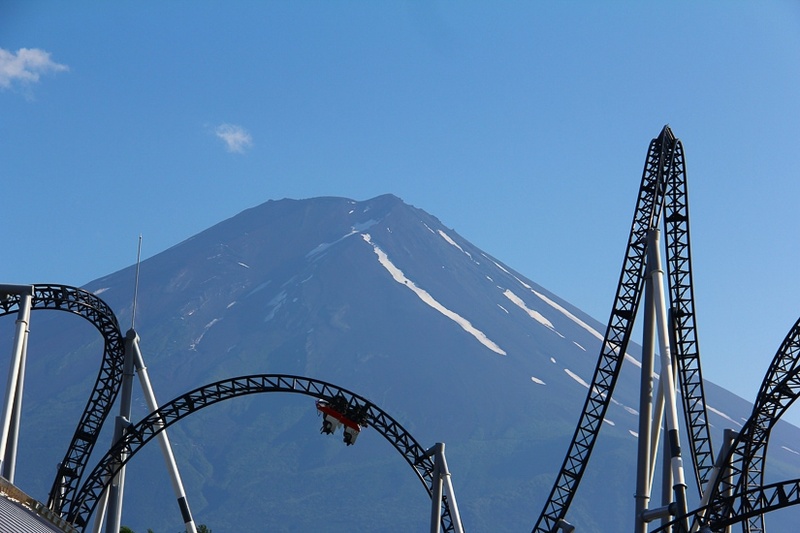 In fact, there are SIX roller coasters at Fuji Q Highland, including the steepest one in the world, a haunted hospital, and much more. You can get discounted Fuji-Q tickets online with unlimited amusement park rides in advance! How to get there: If you visiting the area just for Fuji-Q, you can take a direct bus from Shinjuku on the Chuo Highway Bus Fujigoko Line (100 min, ¥1750 one way). There are also direct connections from Haneda Airport, Osaka, and Kyoto. The regular Fujikyuko bus from Shin-Fuji connects Kawaguchiko, Fuji-Q, and Fujisan (Mount Fuji) stations. See all the transportation details here. I was thrilled to learn that there is a new direct bus from Fujisan Station to Narita Airport, where my flight departed from, so I didn’t have to transfer in Tokyo when departing. The bus did pass over Tokyo, so I got to enjoy some good city views in the drive to the airport. And I was even more thrilled to learn, when I got there a bit too early, that the rooftop lounge of the train station offers a fine, unobstructed view of Mt. Fuji, a perfect way to say goodbye to the mountain getting on the bus to leave Japan. How to get there: The station is a major gateway to the Fuji Five Lakes region. Upon arrival, take the elevator in the station up to the rooftop observation deck. Shopping Tip: The main floor of Fujisan station has shops selling a decent range of non-tacky souvenirs and local delicacies. I stocked up before getting on the bus to avoid the hassle of doing it at the airport. This is one of, if not THE most iconic views of Mt. Fuji, and you really can’t miss it. If you come during the cherry blossom season (or autumn, especially the first two weeks of November), you can expect mobs of people, but when I visited in February, there was only a sprinkling of other visitors. Arakura Sengen Shrine is a small, interesting shrine, but what you really come here for is the view from behind the five-story Chureito Pagoda, 400 fairly steep steps up the mountain from the main shrine. How to get there: Catch a 10-min train from Kawaguchiko to Shimo-Yoshida. From the station, follow the signs for a 10-minute walk to the shrine. The steps up to the Pagoda are just before the shrine. If you arrive to the region by Shinkansen (bullet train) from either Tokyo or Osaka (as I did), then your first view of Mt. Fuji (and for those just passing by, your only view of Mt. Fuji) will be from the window of the train. It’s almost impossible to get a decent shot from the moving train window, but if you get off at Shin-Fuji station to catch the bus up to the Fuji Five Lakes (see below), the view from the Shin-Fuji Station platform of Mt. Fuji towering over the city is surprisingly awesome. I was able to get clear pictures through the windows by putting my camera right up to the glass and then changing the angle until there was no reflection. The side with the trains heading north is the side to be on. If you are just passing by, try to sit on the correct side (left side going north, right going south). How to get there: Shin-Fuji is on the main Toyo to Osaka route. To get from here to the Fuji Five Lakes, there are four Fujikyu buses per day (departing 7:15am, 9:45, 11:45, and 1:45pm. Don’t miss the last one! These buses pass Lakes Motosuko, Shojiko, and Saiko before arriving at Kawaguchiko and Fujisan. For the bus fares, schedule and route, see here. Not a “close-up” Fuji view, but Hakone must be mentioned because it is easy to get to an one of the most popular places to view Mt. Fuji! Hakone is now getting further away from Mt. 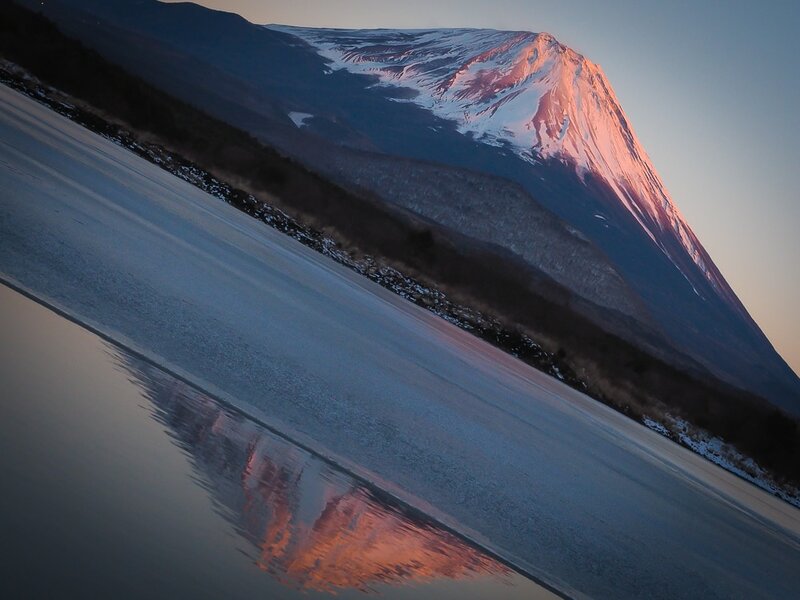 Fuji to be considered a “close-up view” of Mt. Fuji, and while Hakone is not the best place to see Mt. Fuji, due to the distance and reduced chance, it is still regarded as one of the best and is a very popular choice. The classic Hakone Fuji view is from the shore of Lake Ashi (Ashinoko), with the lakeside orange torii of Hakone Shrine in the foreground. A cruise on Lake Ashi in Hakone as well as a drive up to the Fuji 5th station are both included on this Mt. 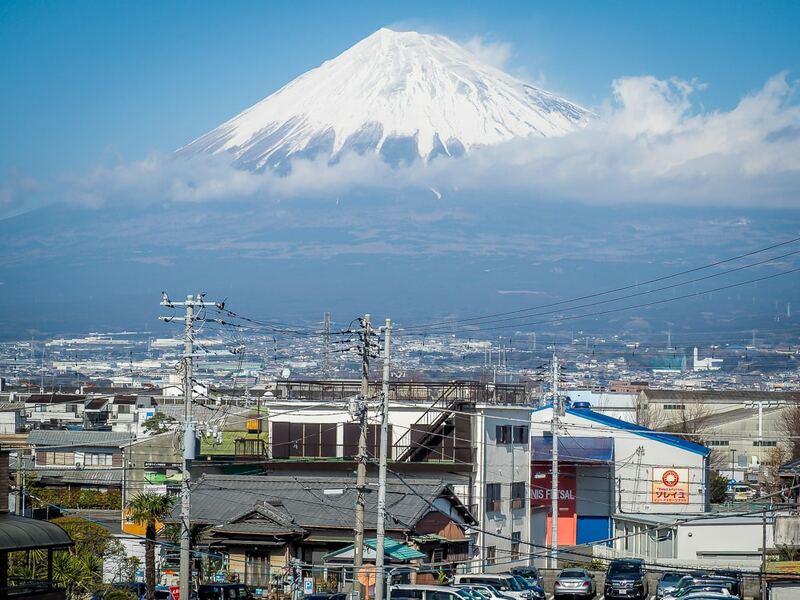 Fuji and Hakone day tour by bullet train from Toyo or on this one by bus from Tokyo. Groups can try this Hakone-only private tour, including an onsen visit. Visiting on your own, check out this guide to making a day trip to Hakone from Tokyo. 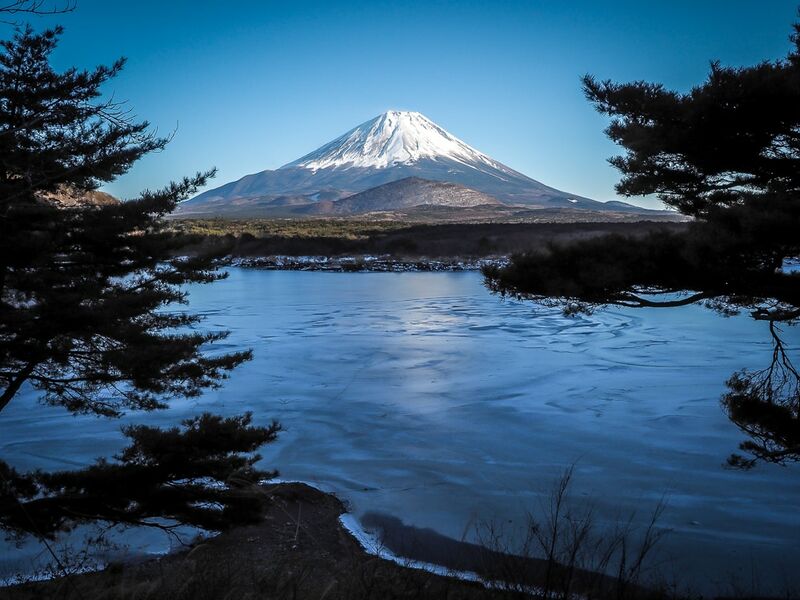 Some people say that in the case that Fuji is obscured (which is always a possibility, especially in summer), Hakone offers a greater amount of other interesting activities, such as onsens, forest railways, museums, and Old Tokaido Road than the Fuji Five Lakes area. How to get there: From Tokyo, the fastest way is by Shinknasen (30 min, ¥3500). The Shinjuku to Hakone limited express takes 85 minutes (¥2280), or you can take a slower train with one transfer at Odaware in two hours (¥1190). Check train times on HyperDia. You can also take a bus from Shinjuku to the Ashinoko area (2 hr, ¥2000). Hakone covers a large area and there are many ways to get around it. See here for more transportation information. See here for information on traveling between Hakone and the Fuji Five Lakes area. If you are staying in Tokyo before or after your Mt. 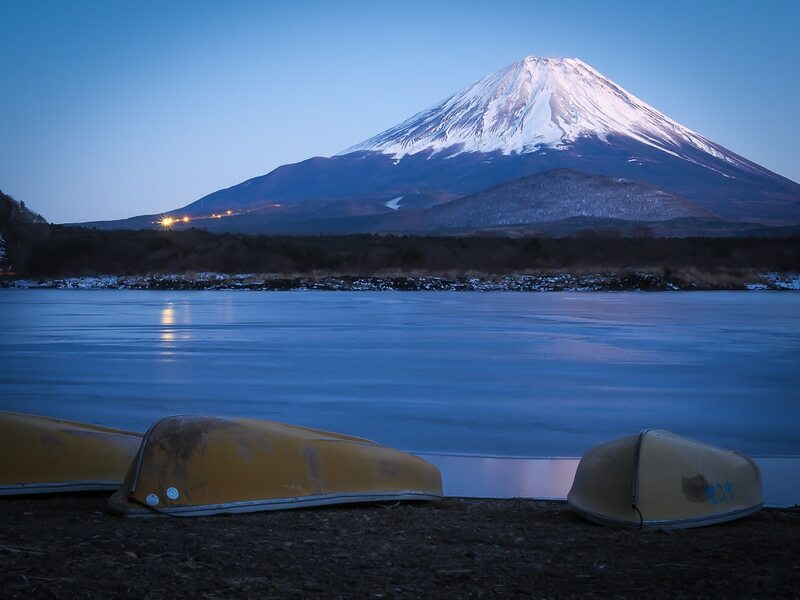 Fuji visit, try these 3-day or 5-day Tokyo itineraries to help you plan your trip! Well, I hope you found my list useful! 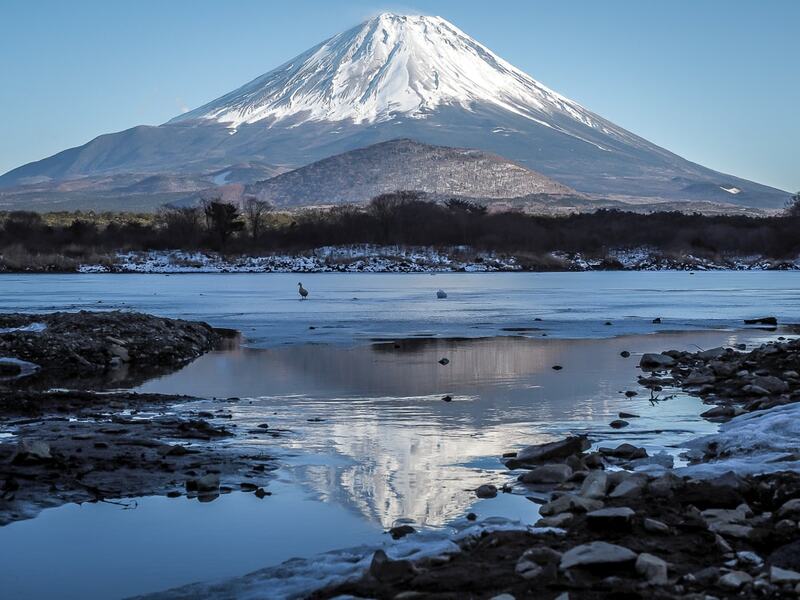 If you need more, here’s an article listing the best places to see Mount Fuji from further afield. And be sure to check out my other articles on Japan! WOW Nick. The first shot feels perfect. You capture the light brilliantly from that angle. We have been snapping the Southern Alps over the past week here in New Zealand. You need that early morning, just after sunrise light to reflect off the mountains to capture the snow white….snow 😉 Really pops when you contrast with the darker shade on the mountain. Thanks for sharing dude! I am heading to Japan in a month and this post is the most informative. Definitely using some pointers over here. Thanks! I’m from Kanagawa-ken prefecture, and really appreciate this info! Thx for sharing your hard work.